With summer feeling like lightyears away, try using this easy to make body scrub that will conjure up feeling of sipping Mai Tai's on a Caribbean beach in no time. I personally love a body scrub pre-vacation or at the beginning of summer, to slough off that winter skin. It's also great when you've had a little too much fun in the sun and your skin is getting "peely". 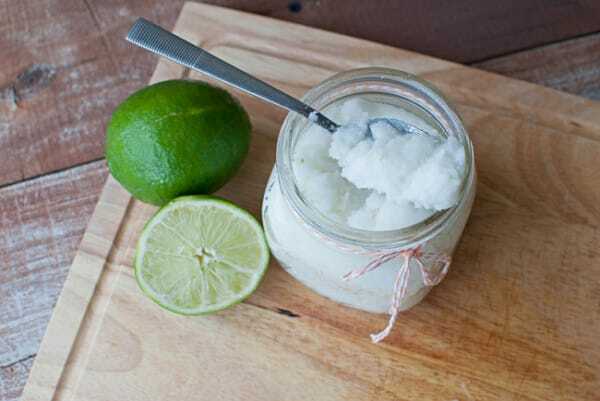 Even if you're just planning stay-cation, this scrub is the perfect addition to your DIY spa night. Mix ingredients and put into an empty jar. *Vitamin E oil is added for its preservative properties. However, this scrub will spoil if any water gets into the jar. For a long lasting body scrub, always apply with dry hands or a spoon.